This message and prayer is for all those who have been betrayed; not only by a few traitors in our Government, but by our own neighbors, fellow workers, and others who were bought out for money or other rewards. If these perpetrators had not played the game, then gang stalking could never have been used as an insidious method to attempt to destroy America through infiltration into every area of our society and covert, illegal gang stalking, etc. Those without a moral code will sell out their own mothers for any reward. However, these enemies of America and the American people are not in the majority, and that is why they have to creep around behind the walls, and use all types of deception to try and accomplish their purpose, which is to kill, steal from and to destroy the very essence of this once great country through demoralization techniques. These traitors have targeted those who will stand up for decency, morals and the truth. If you are being targeted; it means you have a backbone, and you have a sense of justice, you know right from wrong, and you also try to the best of your ability to live a life of moral integrity. That is why you have been targeted. When the true Americans will rise up and say, “We will not stand for this abuse against our neighbors and good Americans”; we as a country will not only survive, but we will become a power for good in the world again. Please expose all of the evil deeds of darkness, and please bring truth, justice, judgment, liberty and righteousness to our nation again. May all of the subversives and enemies of the state be identified and prosecuted accordingly. Also, all those in previous administrations that have betrayed the people of America. 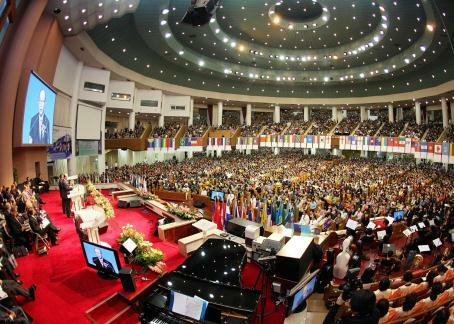 Please move upon the Christians to become the “House of Prayer for All Nations”. Please raise up the true worshipers, prayer leaders, intercessors, and prayer warriors all over this land. Raise up the men and women of God that will have the same spirits of boldness and courage as Joshua, Caleb, Josiah, Jehu, Elijah and the great Apostle Paul. Tear down the strongholds of the Jezebel spirit, Ahab spirit, greed, witchcraft, sorcery, confusion, deception, lusts, selfish ambition, and control spirits. We pray that every evil work of Satan will be totally destroyed in the all-powerful Name of Jesus Christ. Raise up Your mighty standard all over this country! Our people will be in liberty again, when we lift up the Name of Jesus Christ, and then He will draw all people to Himself. Hallelujah! Where the Spirit of The Lord is; there is liberty, freedom and justice for all. The kingdoms of this world “will” become the Kingdom of our God and of His Christ and He will rule forever and forever” paraphrase from Rev. 11:15, in Jesus’ precious Name!